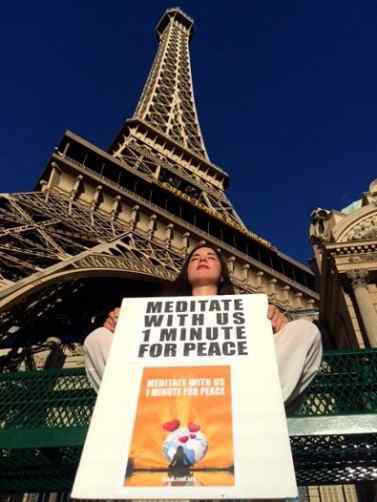 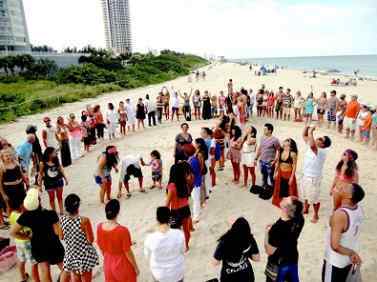 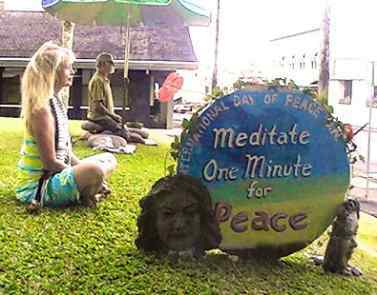 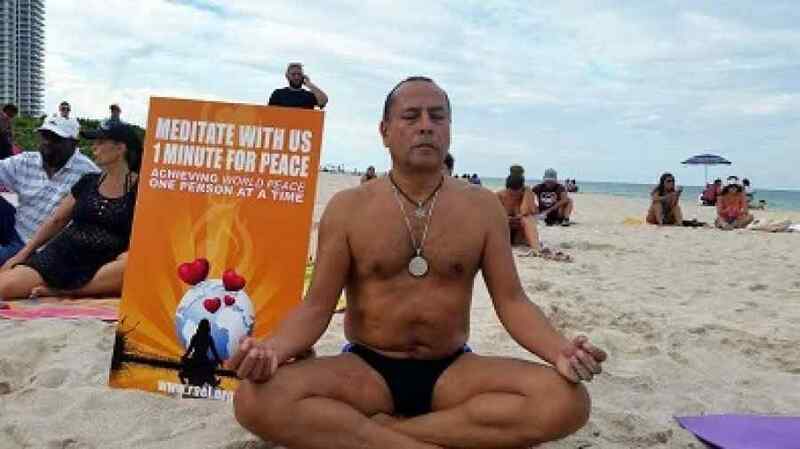 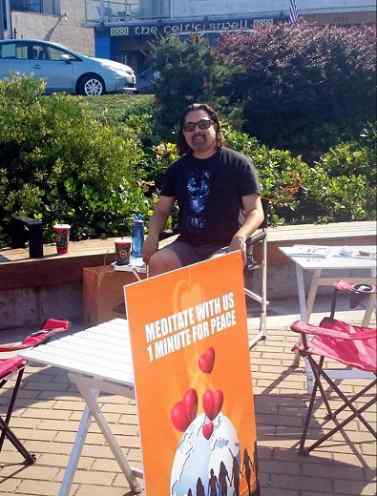 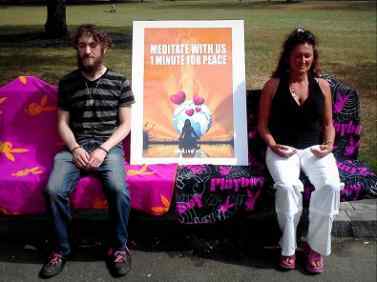 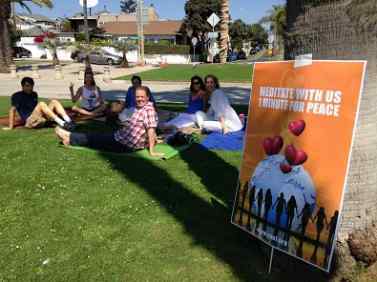 In Miami, Raelians joined other peace activists on the beach. 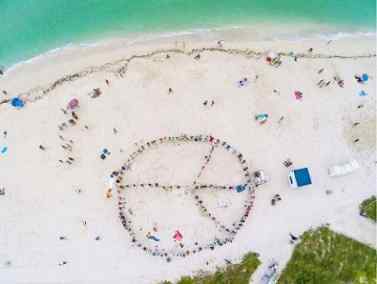 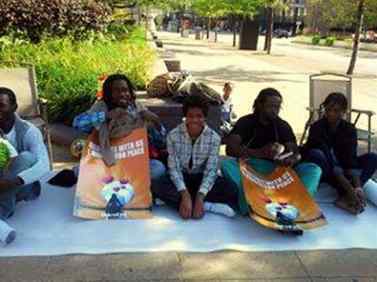 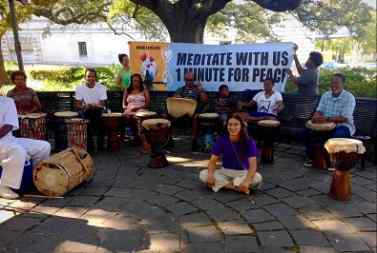 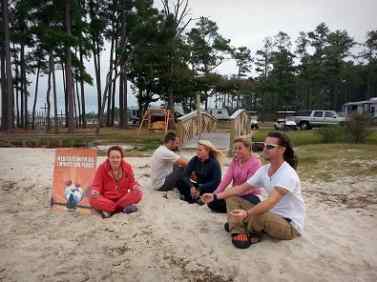 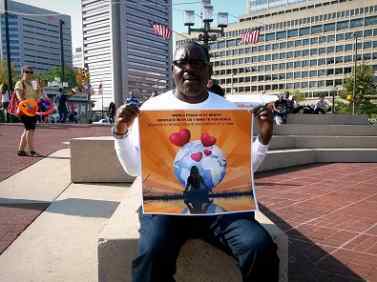 Donna Newman, Guide for the southeastern US, gave a meditation to the group of hundreds of activists forming a peace sign that was photographed by a drone hovering above them. 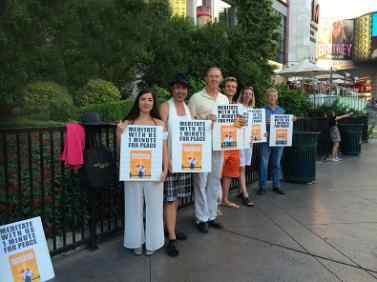 In Las Vegas, the local team was joined by Chess Grandmaster Timur Gareev (3rd from the right in picture below) who is known worldwide for his simultaneous blindfold chess records.